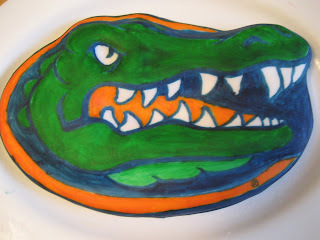 In honor of the 2008 National Champion Florida Gators -- Jessica decided to make a cake of the UF logo. We brought it over to a movie night at a friend's house. 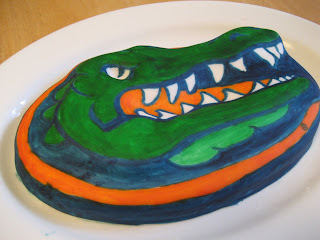 The cake is red velvet...so it "bleeds" when you cut into it. 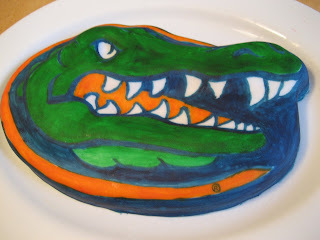 The coloring is painted fondant. Oh boy. Only 9 days until college football season (and the road to a repeat)!